- USB operated, DC 5V. - RGB SMD5050 leds Chips, PU coating waterproof. - IR remotel control, 8 meters remote control distance. 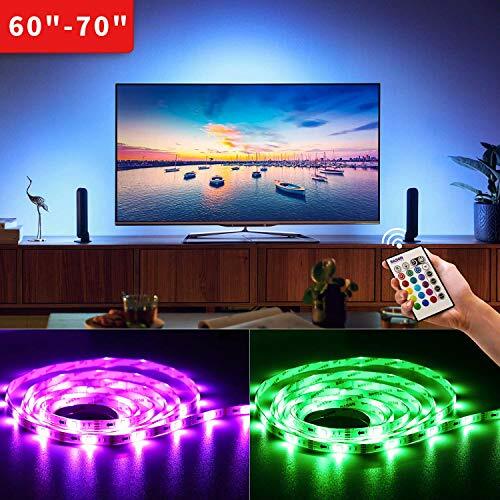 2, Pls test the light performance before hooking up, connect LED strips and plug USB cable in to TV USB port, keep LED strips lighted on for about 5 mins. If lights flicker or stop work, then your TV USB port cannot supply enough power current, please return it to save your money. If the light strips work good, then hook them behind your tv. Following issues you may meet. 1, LED strips can not display the same color. - Check the connection part, arrow marks and "+5V" "R" "G" "B" marks will be find on each strip end and connector, arrow marks shold face the same direction, "+5V" should connected to "+5V". 2, The light can not respond to remote. 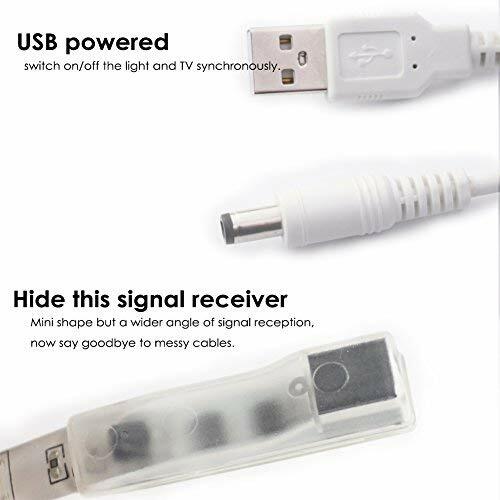 - Adjust the signal receiver postion, keep it close to tv edge. 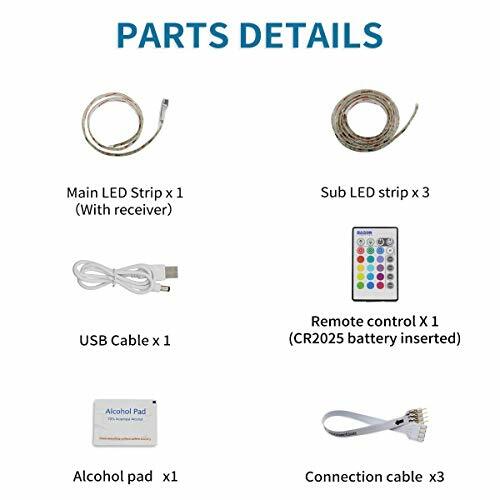 3, The light flicker.- It caused by TV USB port can not supply enough power, dim the light to reduce power consumption or power the light with a USB charger. 4, The light can not be shut off when tv is off. - This caused by the TV USB port still supply power current after tv off, please turn lights off by the remote. - 1 year warranty, 30 days no reason to return, free repalcement available in 365 days. - Reach us via email sales25@basonlighting.com, we will be back to you within 24hrs. 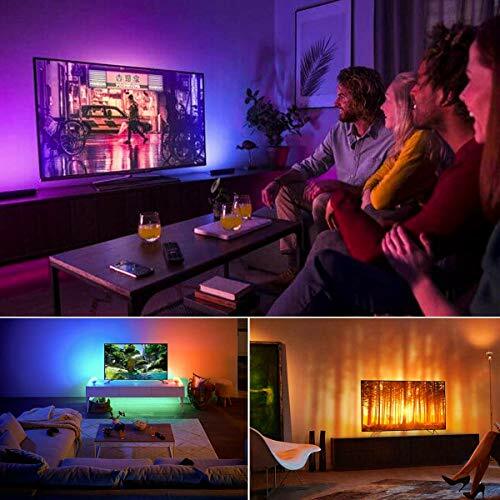 - To enhance tv watching and help eliminate eye strain by attaching LED strip behind each side of TV back (60 ~ 70 inches). 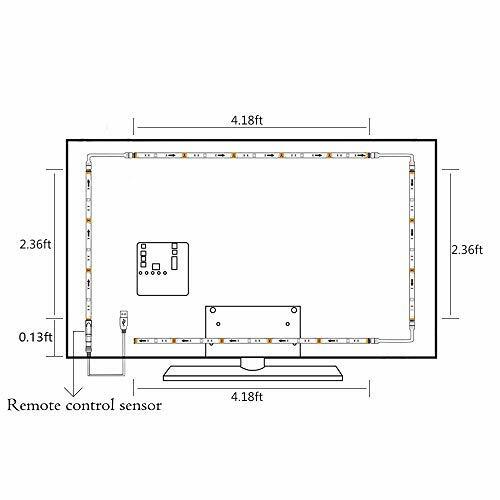 Please measure your tv side to order the one which fit best, the length of 4 LED strips for reference,1×2.36ft, 1×2.49ft, 2×4.18ft. 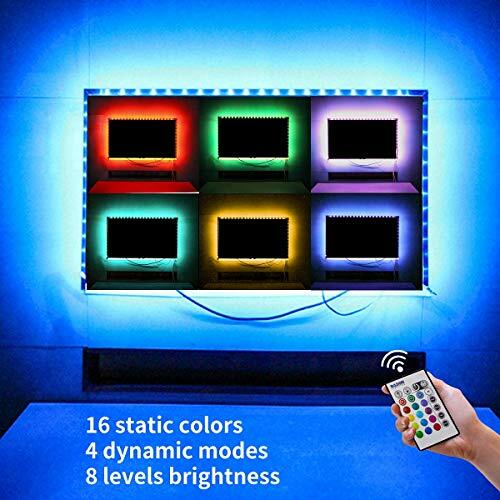 - Hassle-free to find your favourite color and brightness by the remote, BASON TV bias lighting provides 16 static colors, 4 dynamic modes, and 8 levels of brightness to satisfy different taste. - BASON TV backlight powered by TV USB port, can be turned on/off synchronously with most TV models. 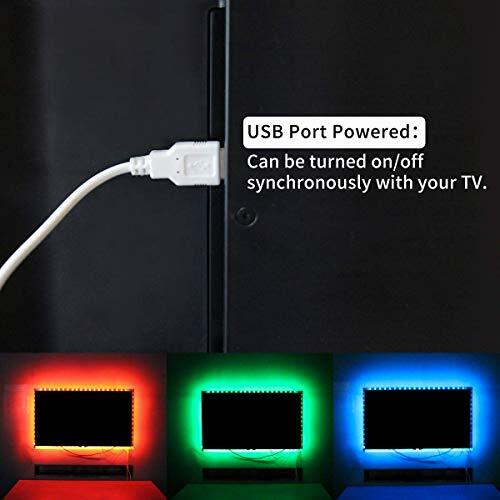 As some particular TV USB port can still supply power current after TV shut off, please turn off the TV lighting via provided remote in this situation. - The strong adhesive foam tape with "BASON" trademark, guarantees LED strips will not fall down if you keep the mounting surface free from dust before hooking up. - Buy with confidence, we offer 30 days money back guarantee and 1 year warranty. Please send email to sales25@basonlighting.com, technical support and replacement service available within 24hrs. Read below "Product description" to find more useful information.